As you sit here reading this blog on what is probably your Christmas day morning or maybe within the couple of days just after it, I would like to remind you all of the sterling voluntary work of all the Queensland State Emergency Services that so often get overlooked at times like this. And as I have already intimated a few times within this blog, Australia isn’t always the dry and arid semi desert we often take it for. It has weather and like with most other things in Australia, the weather here has more than its fair share of extremes too. For example, from September/October through April it is storm season, which means storms capable of ripping the roof off your home, gusts of up to 100Km an hour, torrential rain, thunder that will scare the feathers off your birds and leaves small children crying while clinging to their mother’s skirt hems, as well as power outages (oh no warm beer, that will never do). And then as if that wasn’t bad enough, during the months of December through February there are usually flash floods along with said torrential rains and cyclones to boot. Couple that with the bush fires from September through January (strangely running in unison with school holiday season) and you can easily see the need for extraordinary people running emergency services to help rescue, retrieve and generally clean up the mess afterwards. You don’t believe me? 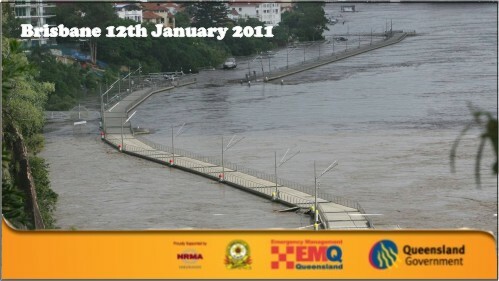 Then take a look at this lot… This particular incident was a culmination of the dam not being let out in time and when it was released, it was done so during a king tide resulting in massive flooding throughout the area. And this is just a little of what went on at around this time last year. 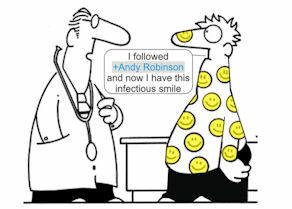 Check out the full associated album for more. 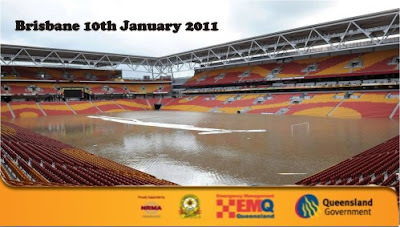 This wasn't just Brisbane either, there were other places across Queensland being hit with cyclones, torrential rains, flash flooding and other forms of storm damage. Places that we have visited during the progress of this blog among others. 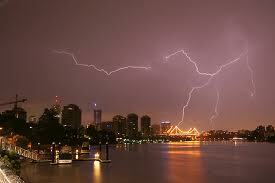 Places like Bundaberg, Toowoomba, Dalby and Rockhampton. And that is why Queensland in Australia has in reserve, a small army of volunteers (around 75,000 individuals), the State Emergency Services, on call for all kinds of trouble, and the emergency services cadets (which we have already established, Jodie spends all her spare time coordinating) fall under the wings of these services. 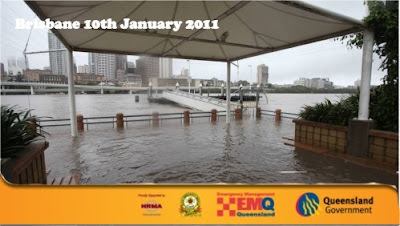 Queensland, has it's normal everyday paid emergency services for day to day stuff; QFRS - Queensland Fire and Rescue Service. (meet Billy Bob Wombat, Michael Sharman, Coach Dudley among others (all seen found terrorising G+ as am I)), and QAS - Queensland Ambulance Services. 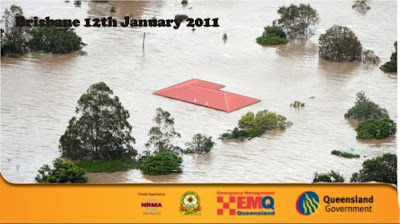 QRFS - Queensland Rural Fire Service (assisting with bush fires etc). SES - State Emergency Services (general assisting with disaster management and supply of buildings and vehicles). There is another branch to all of this too and that would be the State Corrective Services. 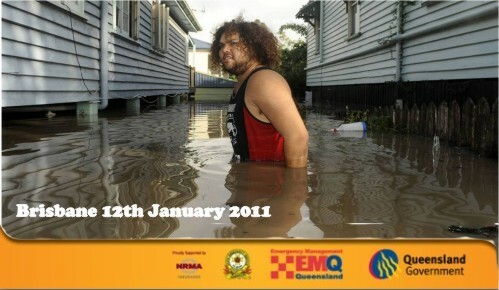 Not so much for the management of disasters, but there all the same as part of the overall funding package. 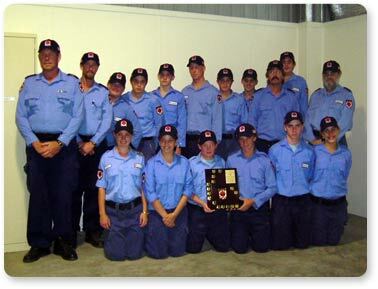 Together the corrective services, QFRS, SES, QAS, QRFS all supply monies for funding the cadet training program and while EMQ actually takes ownership of the program, it supplies very little in the way of finance, any shortfalls having to be made up through fundraisers or external donations. 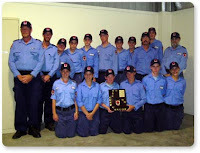 And apart from the many life skills these kids learn while participating, the cadets, starting with an intake at between the ages of 13 or grade 8 at school up to the age of 15 and a half, can come out at 18 with certificate 2 in community safety which is exactly the same as that that the adults get in the SES only it also has complimentary fire awareness and first aiding courses too. There are all forms of accident response scenarios for them to practice, triage, radio and communications, map reading, land searches (looking for missing bodies, dangerous weapons out in the open etc), along with participation in community events in policing things, helping to set up, and even raising public awareness about their individual units. And on leaving the cadets these young adults will have gained real world recognised qualifications for inclusion on their CVs, they can continue on as adult leaders within the cadets or should they choose, they have entry into SES and QRFS or even both with their recognised skill sets. After which, 2 years of continued voluntary service serves as a recognised pre-requisite for a professional career within the paid fire and ambulance services. And as is the case with many other countries I’m sure, if these volunteer services were ever to be paid for through everyday governmental spending, Australia would have bankrupted itself years ago. And likewise, but for the sterling work these guys do or are currently learning to do, including fire services, land searches, flood control, boat patrols, rescuing trapped individuals and the like. Australia probably wouldn’t even be the modern world land we know of today. So, for the likes of myself and many others who have maybe been at the receiving end of the help and care given by these emergency services, these guys must surely be the true heroes of the 21st century and my hat truly goes off to them as I salute them all and wish them a really peaceful but nonetheless happy Christmas. Particularly with the impending approach of the latest tropical cyclone, Grant which is currently off Darwin in the Northern Territories. No doubt these guys are already impatiently waiting to be activated. Well I am surprised that no one commented on this. 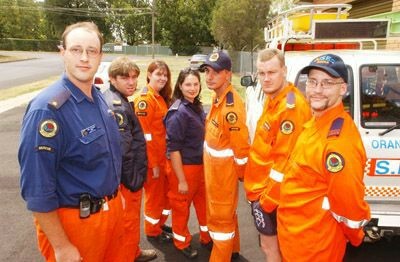 The unsung heroes of our country are the volunteers that make up the support services in the emergency services. They give up their time to be trained up to a professional level and do this willingly and are usually amongst the first respondents to an emergency situation. AND they do all this without expecting praise or reward, they do it out of a sense of community spirit. 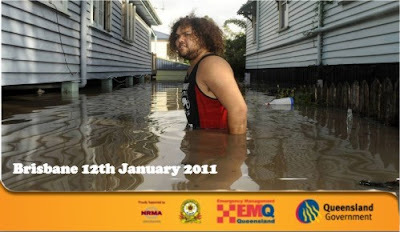 Without the volunteers of Australia, this country would come to a stand still.